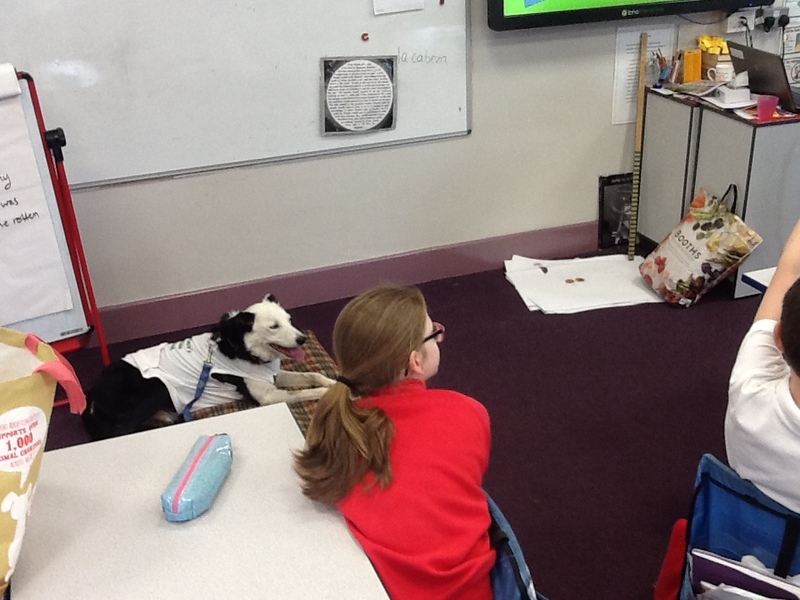 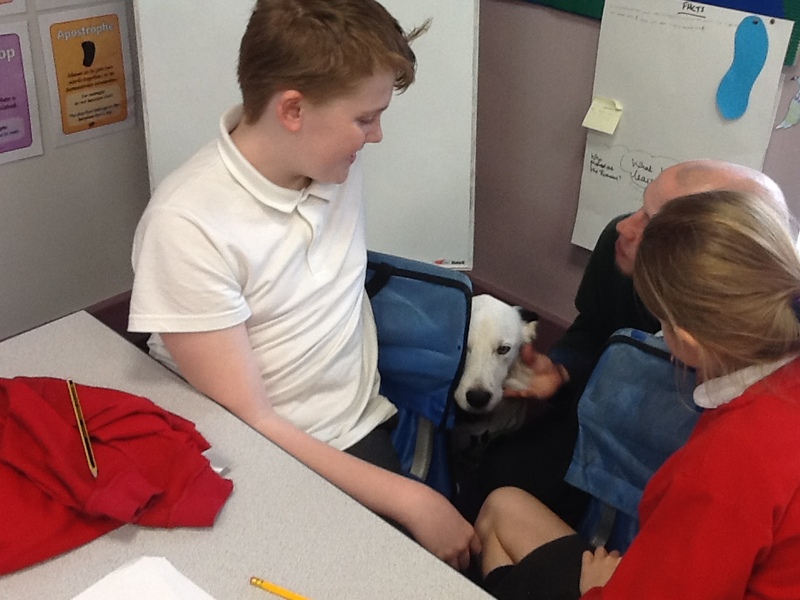 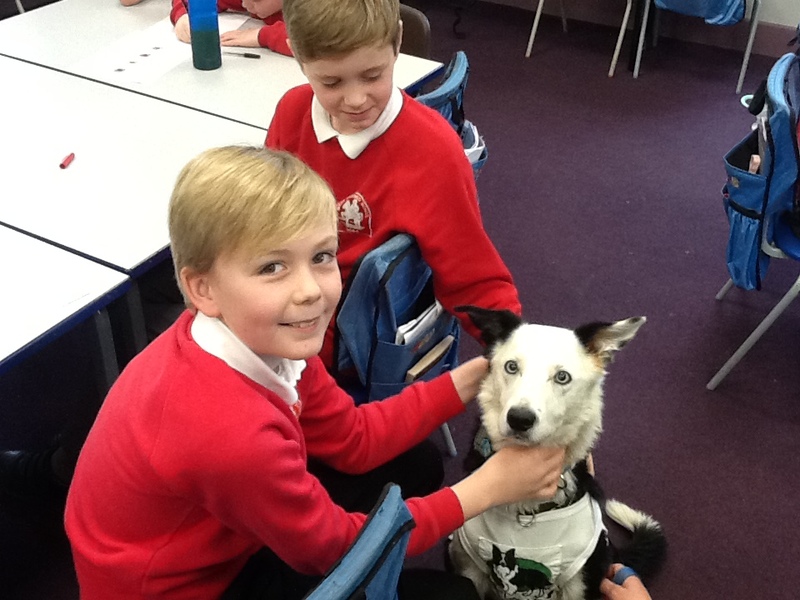 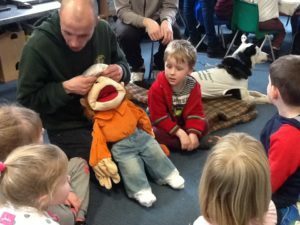 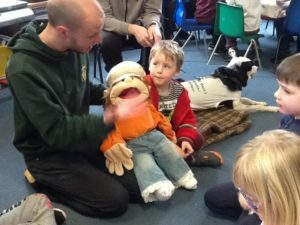 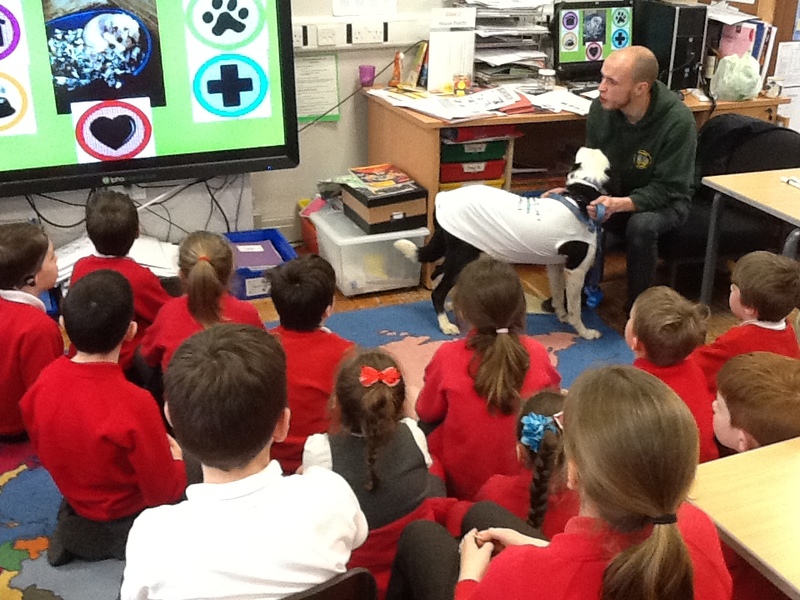 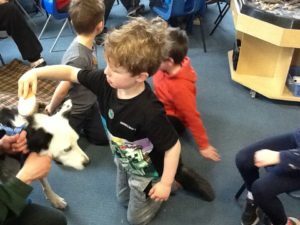 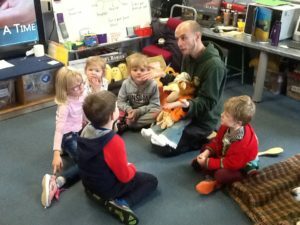 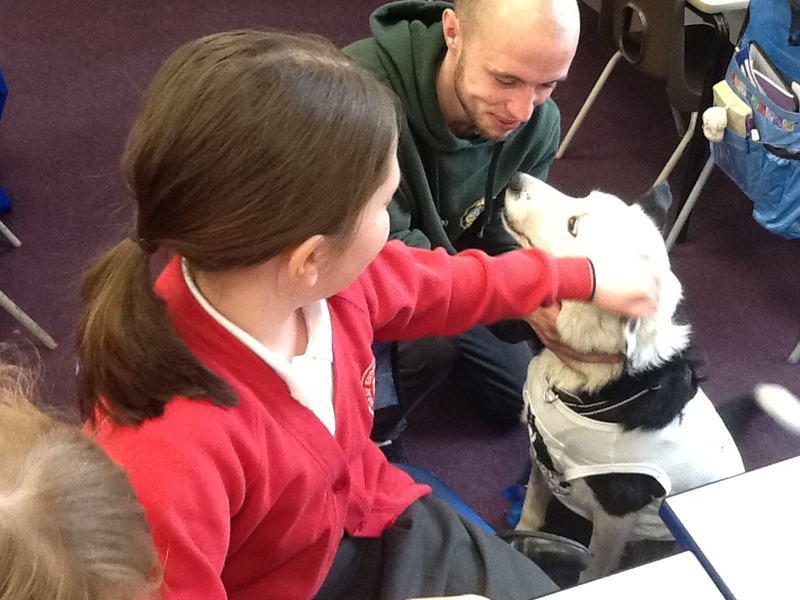 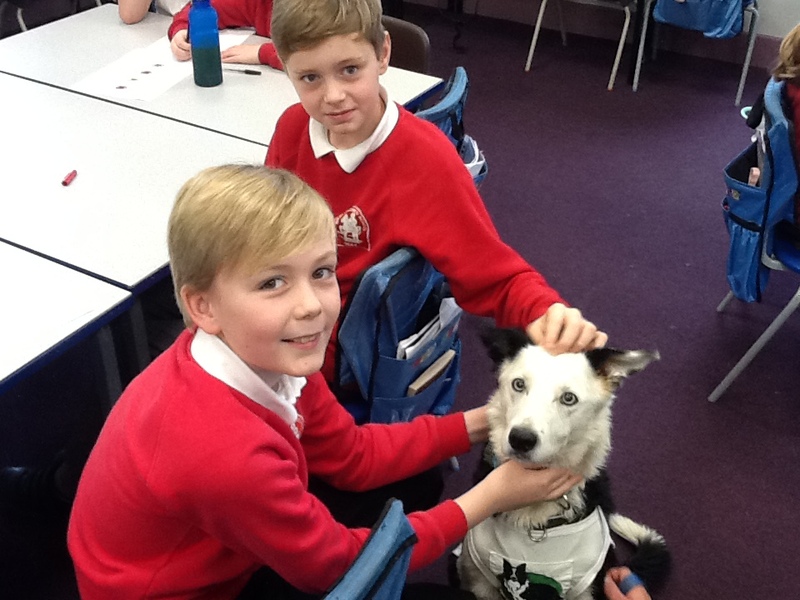 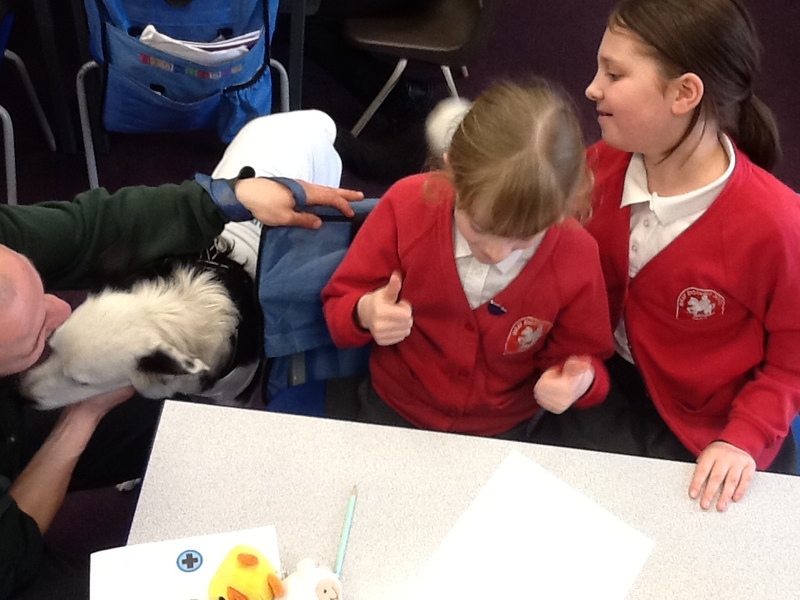 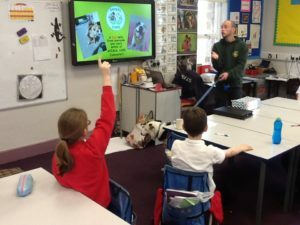 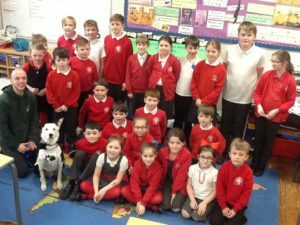 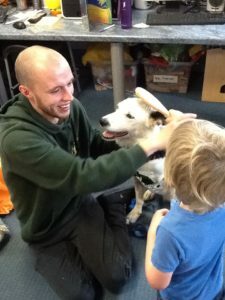 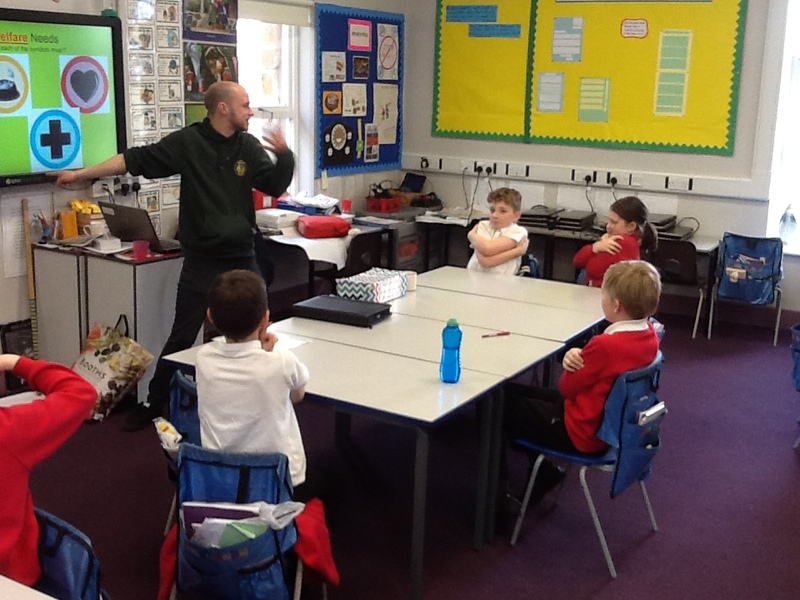 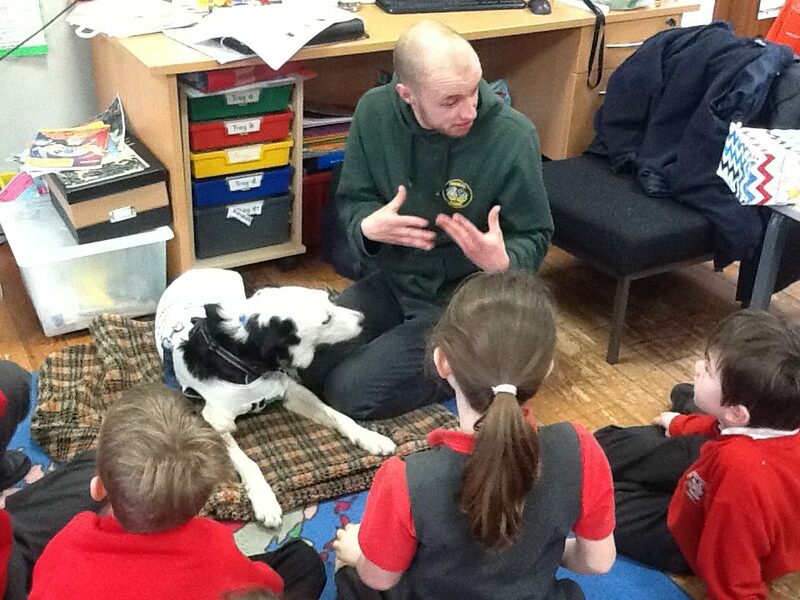 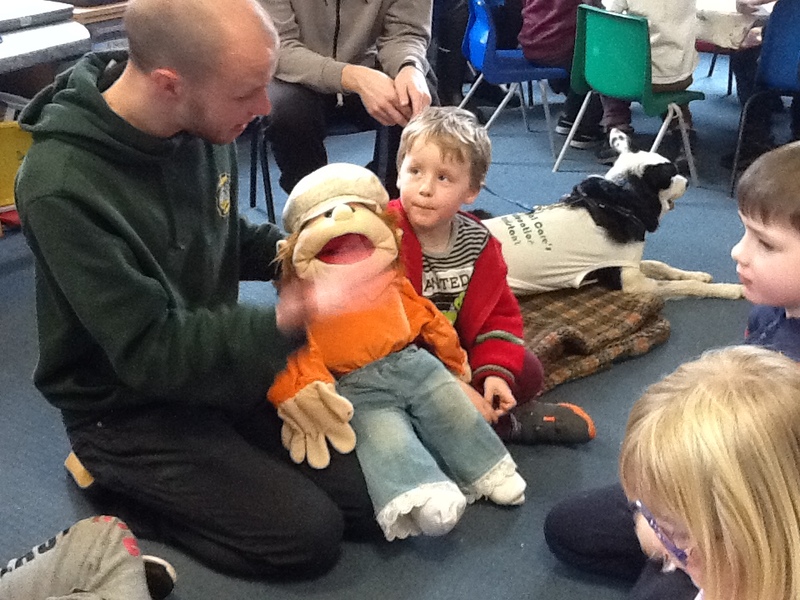 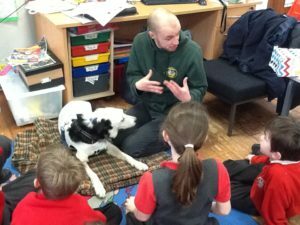 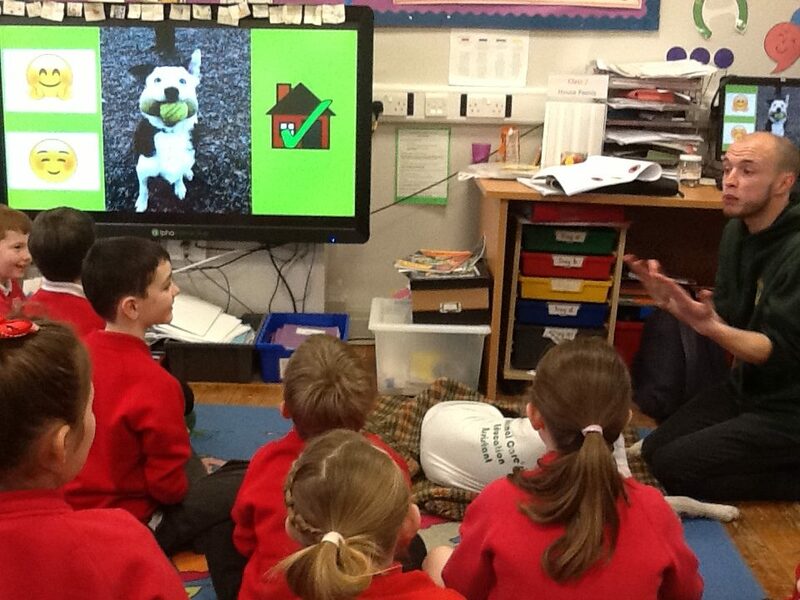 Wray School were lucky enough to have a visit from Animal Care Lancaster’s Michael and his dog, Buddy. 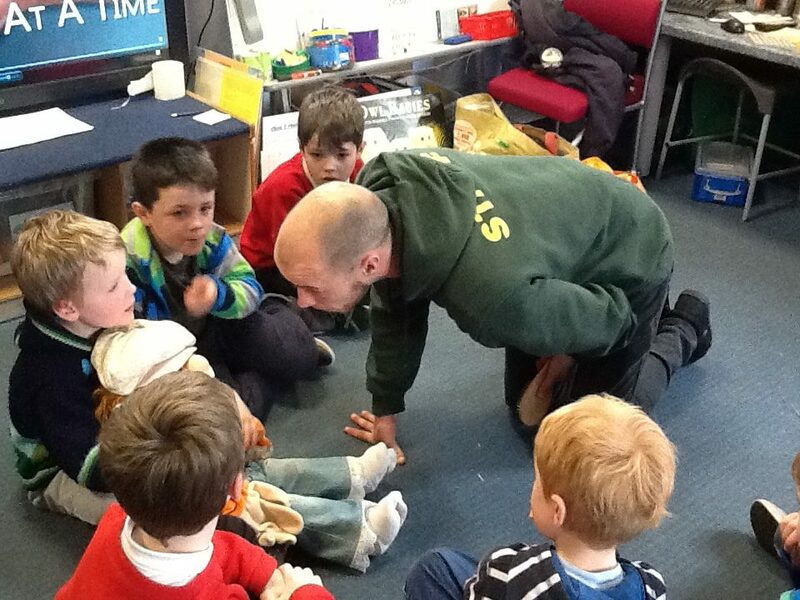 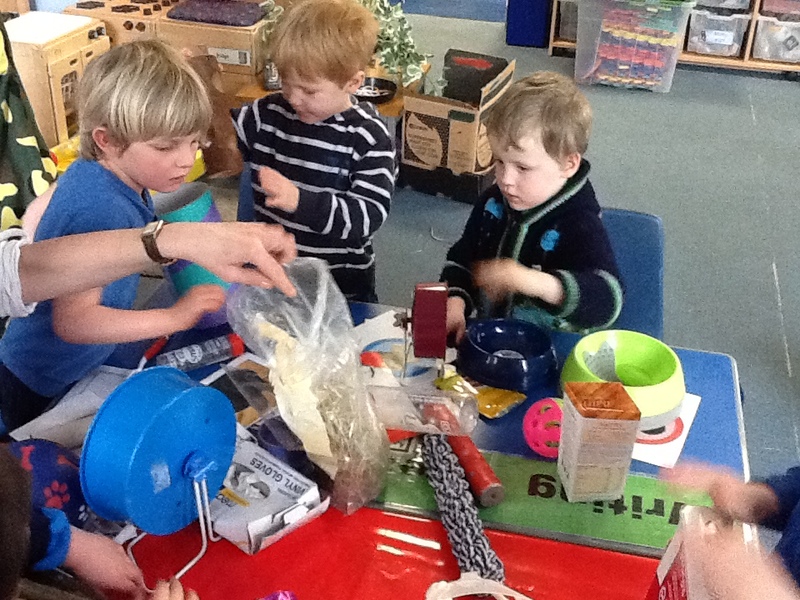 Both proved very popular with children and staff alike! 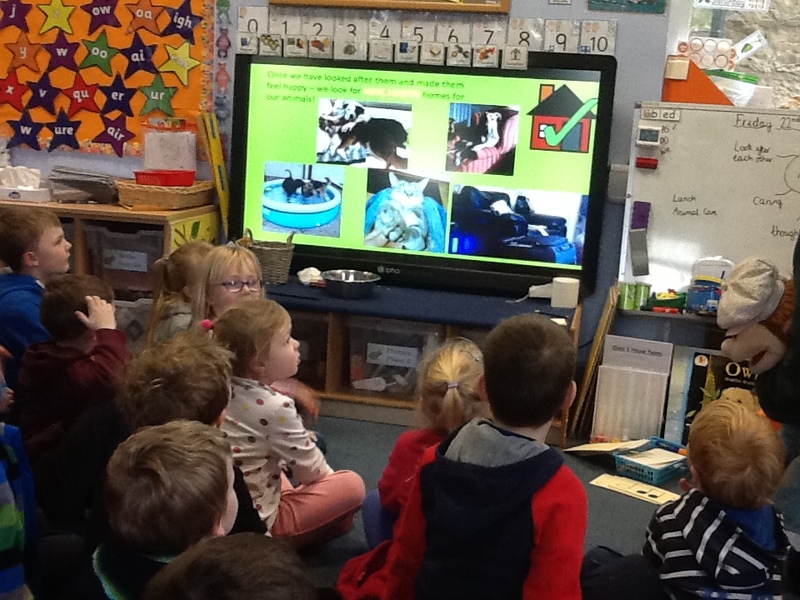 We learned about all the different animals that people buy and have to send to Animal Care for various reasons. 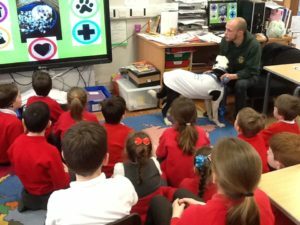 Animal Care then look after and re home the animals that have no owners – a very important and rewarding job! 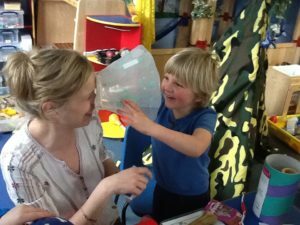 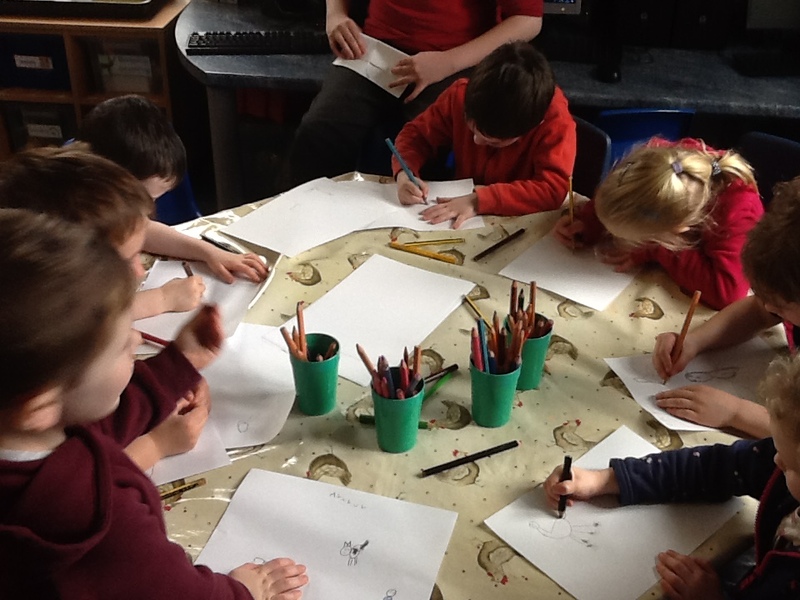 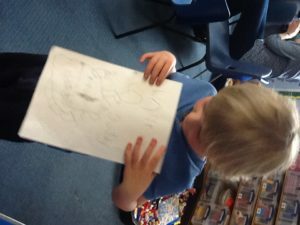 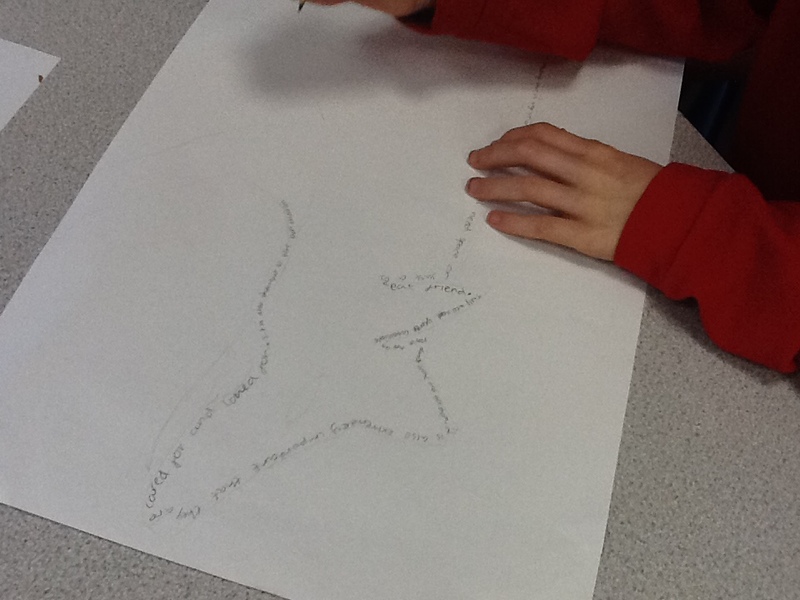 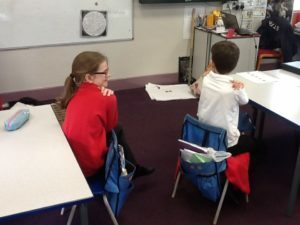 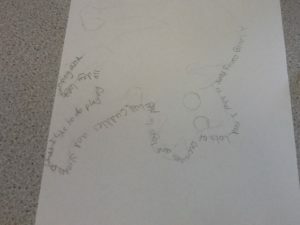 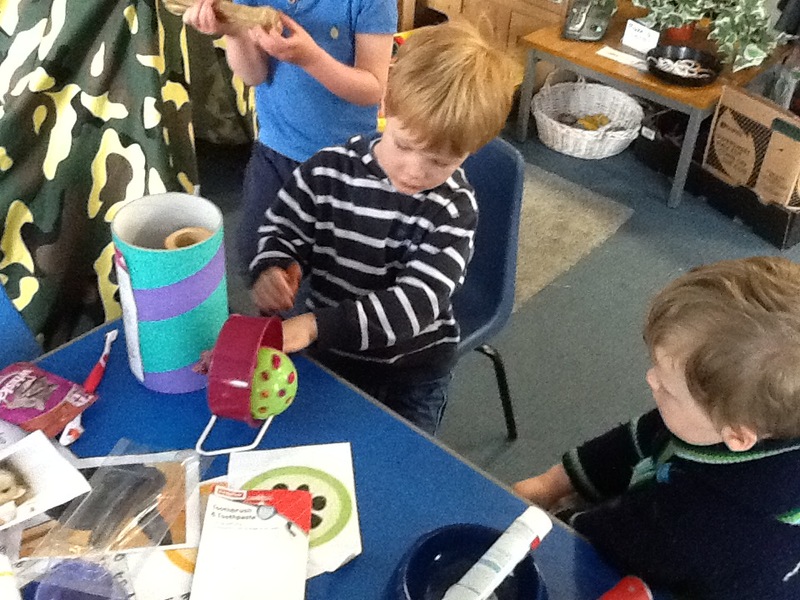 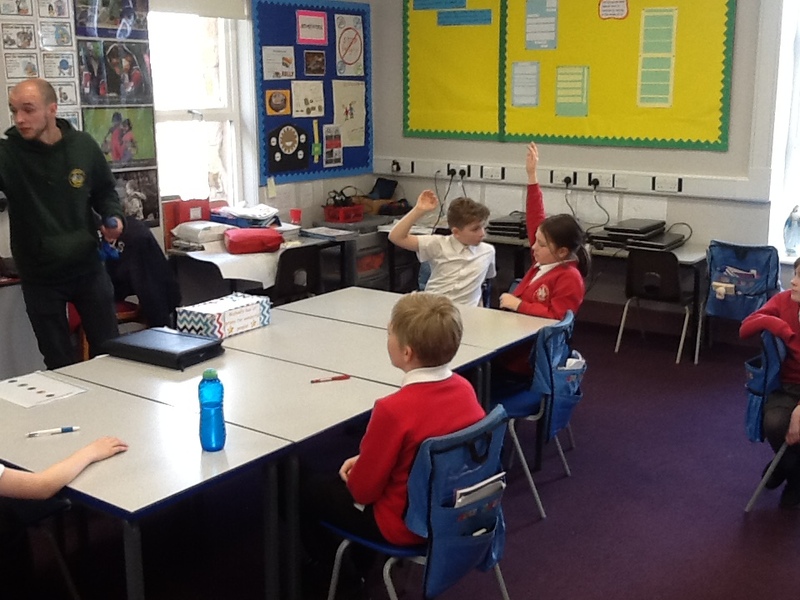 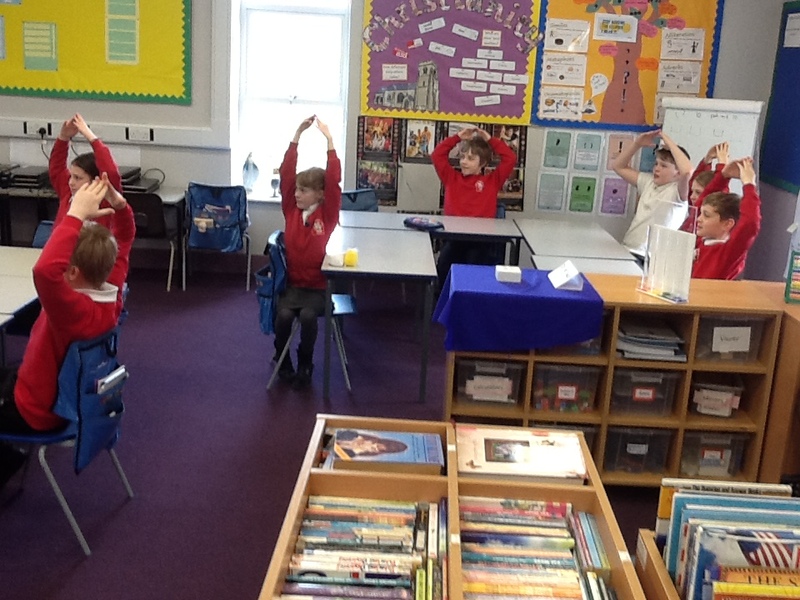 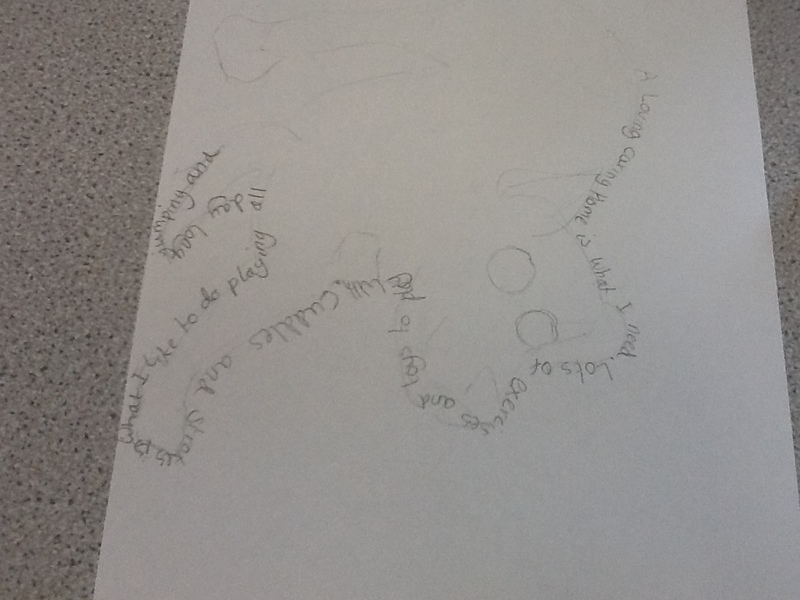 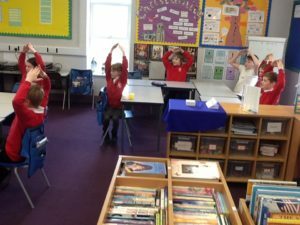 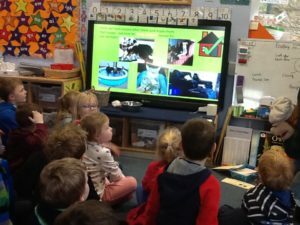 We also learned about what it takes to look after an animal, and what their needs are. 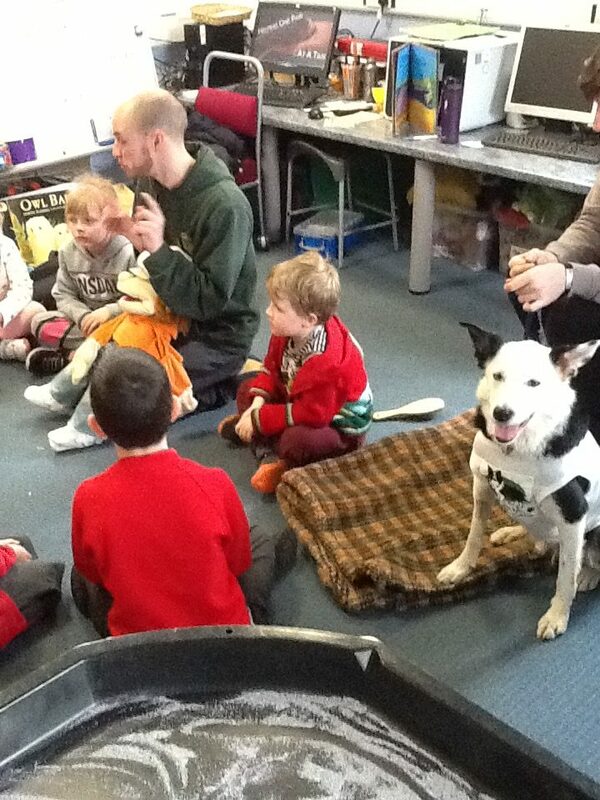 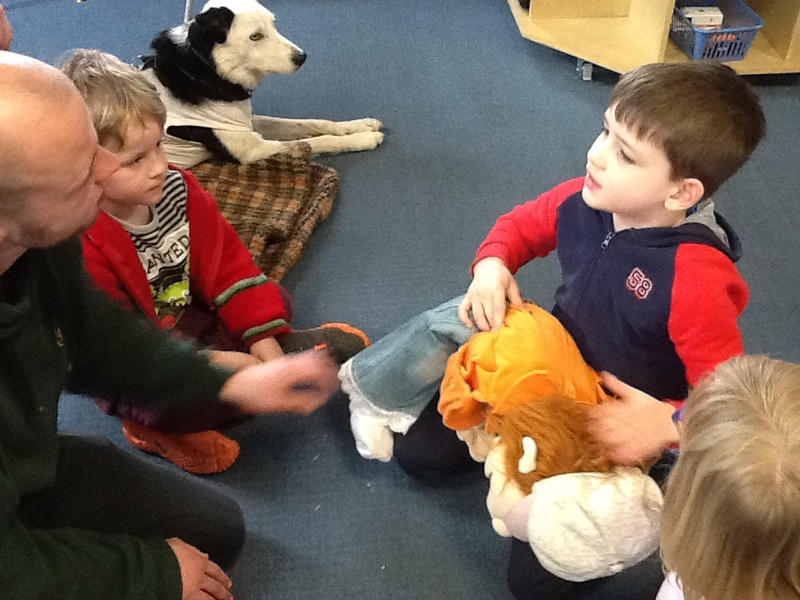 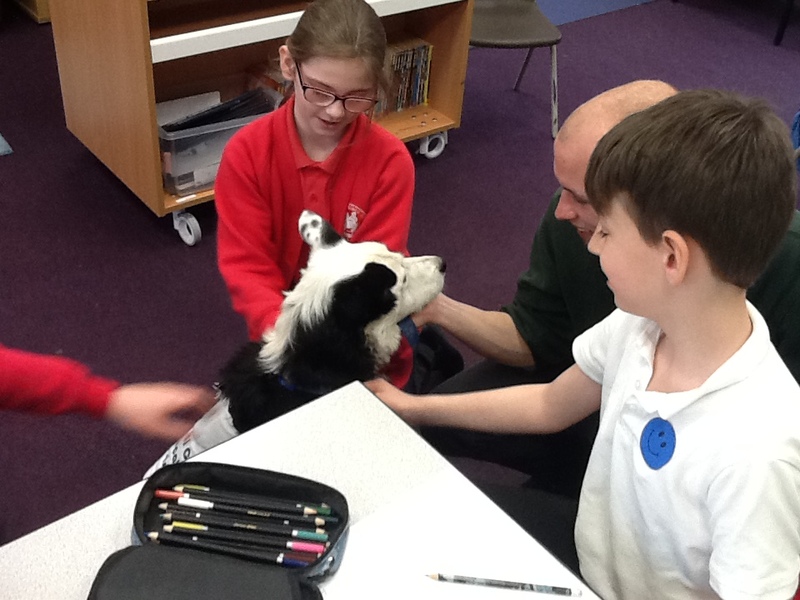 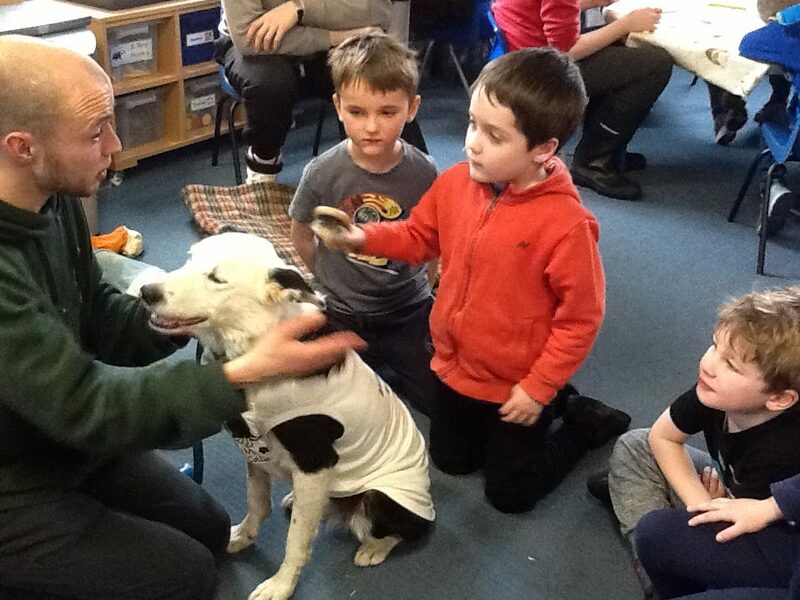 Buddy was a very patient, delightful collie that the children just adored!